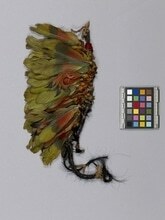 Item number 424/8 b from the MOA: University of British Columbia. 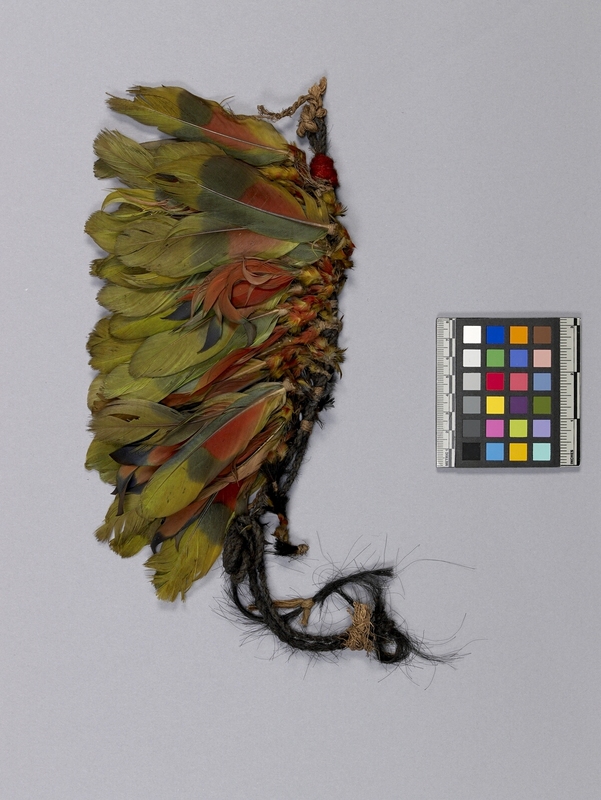 Feathered armband consisting of numerous green and red feathers with black colouring bound together with fibre twine which is wrapped around a small rope of braided black hair. The end of the rope has thin twine wrapped around it along with a green fabric tie.